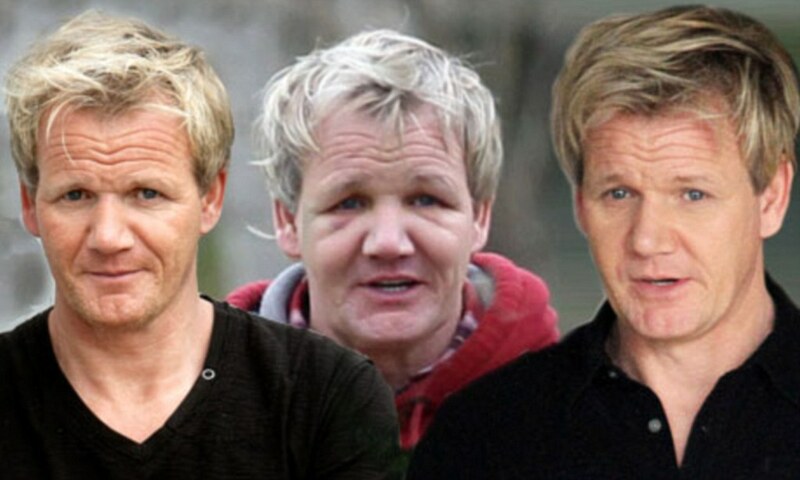 The 44-year-old showed off his surgically-enhanced locks for the first time as he began filming a new series of Kitchen Nightmares in Los Angeles on Thursday. he should do something about the enormous number of folds and creases on his face. that makes him look ugly.